Groom to get the True GLOW! You are here: Home / Grooming / Groom to get the True GLOW! Daily brushing– Proper grooming includes daily brushing of the coat, the dead hair of your pet will be removed thus reducing the problem of shedding. Bonding– Try to keep each session short with gentle reassurance, calmness, and petting. Groom to bond and make it fun. Pet care products– A dog’s skin is more sensitive than ours, use only pet care products. Trimming with care– Start trimming your dog’s nails as early as possible to help them get accustomed to the routine. Consult your groomer. A nail grinder can be used to trim and smooth your pet’s nails. But be extremely gentle. Give your dog treats as you do each nail and your dog will actually relax and look forward to having his nails done. Ear care – When cleaning your dog’s ears put ear cleaning solution in the ears and then gently massage the base of the ears. Leave for some time and wipe off the excess with cotton. Never probe inside the ear. Paw care– Trim paw hair regularly to avoid painful matting, always check the paws for ticks. Facial wrinkles– Breeds with lose facial skin or wrinkles need special attention. Clean the folds with a damp cotton pad and thoroughly dry the area. Blow with care– When using a blow dryer for your pet, be sure to use a dryer with very low or no heat. Keep it at a comfortable distance. Ensure your pet is at ease with the noise. Eye care– Clean their eyes with clean, damp cotton wool using a separate piece for each eye. Ask your vet for specific eye drops. Tooth brushing– For teaching tooth brushing put some toothpaste on your finger and massage his teeth and gums. Let him lick the toothpaste. Make sure you’re using dog toothpaste. 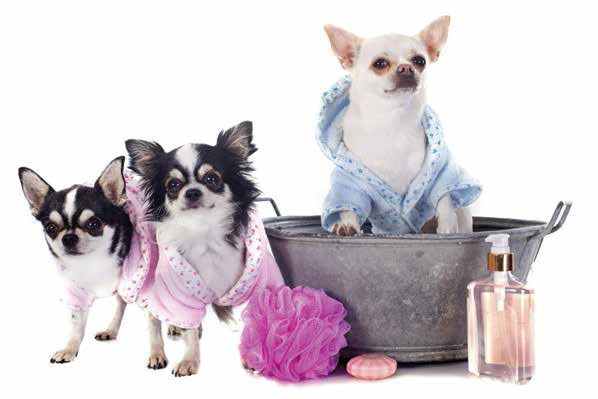 Just Dogs is a Pet Retail Chain of Pet Superstore and Spa. The services they offer include –Spa, Dog training, Dog breeding, Dog grooming, and Pet boarding. 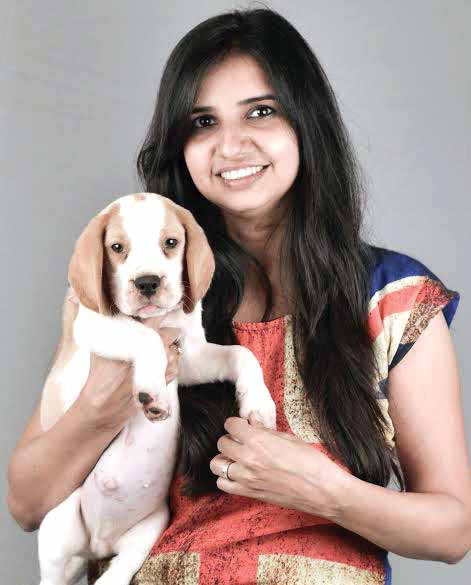 Poorvi Anthony is the co-founder of Just Dogs. The brand was established in 2011 and ever since it has won hearts of thousands of pet parents. Poorvi is a certified Theory and Practical Skills Instructor, pet groomer, and pet services specialist from Vanity Fur Grooming Apprentice Program, Canada. She runs 25 pet spa chains across India.